Are you a business owner looking to or currently renting commercial space? Raquel M. Ness of Downey Tornosky Lassaline & Timpano Law will share tips about how to work with your landlord & make sense of your rental contract. Raquel M. Ness is a Barrister & Solicitor at Downey Tornosky Lassaline & Timpano Law Professional Corporation. 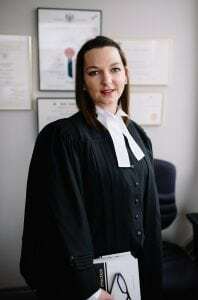 She was part of the first cohort of the Law Practice Program (LPP) established by the Law Society of Upper Canada as an alternative route to licensing for lawyers in Ontario. The LPP combines the traditional practise-based experiential training with an entrepreneurial and innovative approach. Raquel continues to be an advocate for the LPP and is the LPP correspondent for Bond University, Australia. Raquel grew up in Orillia, she is a member of the Simcoe County Young Professionals Association and the Ontario and Canadian Bar Association and is eager to continue to give back to the community that helped shaped her.